At Vitalgrana we work every day for your well-being. To achieve this, we have an R + D + I department made up of highly qualified people with extensive experience in the field ofscientific food research. But our scientific work extends beyond our company, as we collaborate with various public and private entities such as: The University of Alicante, The University of Miguel Hernández de Elche, Bionos in the Hospital de la Fe in Valencia or the JW Goethe- University of Frankfurt. 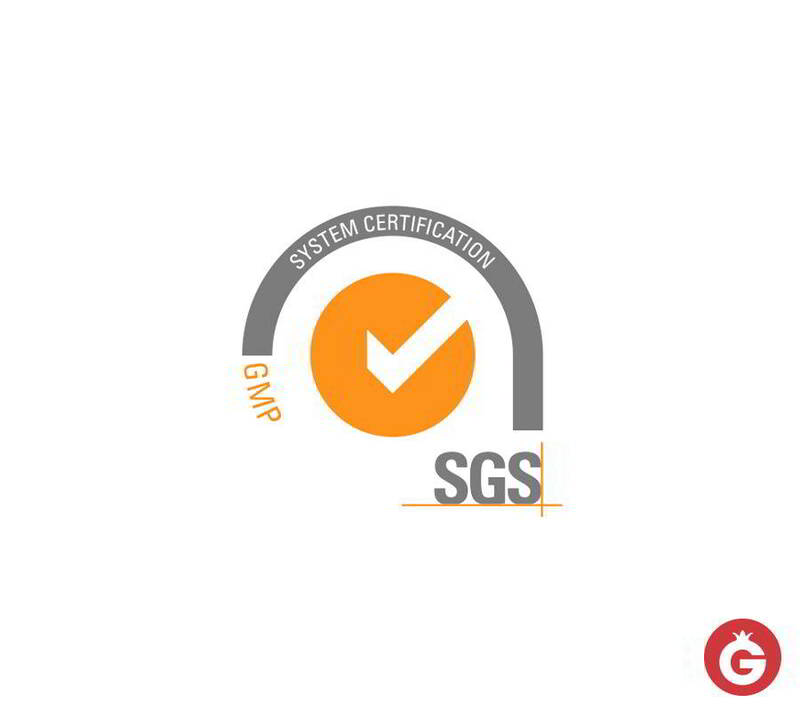 To provide our staff with the best tools and to ensure that you can enjoy the best products, we have two laboratories dedicated to theconstant improvement of quality, research and development of new products. All to improve the health and well-being of people. Because of our research, we have developed and patented a unique system: Vitalgrana Totum System®. 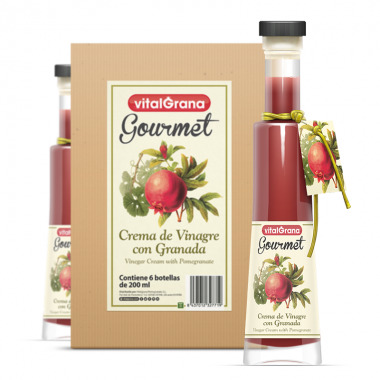 With this system we separate all the parts of the pomegranate with particular attention to the peel, the internal membranes, the grains and the seeds. The reason is that each part has different properties and nutrients and in different amounts. Therefore, after separating them, we re-join them to maximise the benefits that our products bring you. If you want to discover our system more closely, watch the video. Vitalgrana's commitment to well-being also extends to caring for the environment. For this reason, our products are made from local pomegranates and local crops where we select the pomegranates that are part of our products. In addition, to take them home, our juices use glass containers, the only 100% recyclable material. Glass is the product that best takes care of the environment and our products, as it is a waterproof material that ensures that the juice is not contaminated by external agents and maintains its flavour, smell and composition while maintaining the properties of the pomegranate intact for longer. 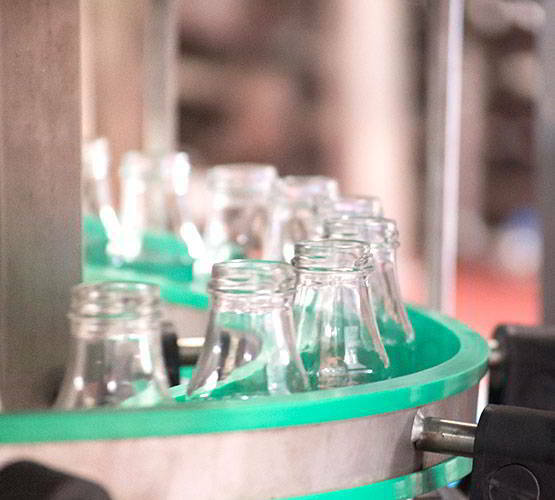 The glass is 100% recyclable and keeps the flavour and nutrients of the product intact. 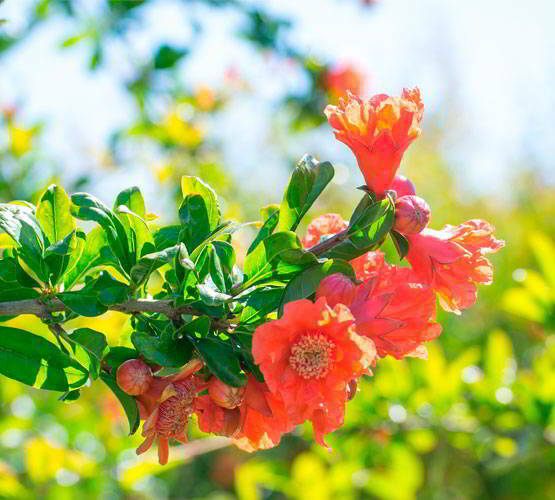 Continuing with our environmental commitment, we obtain a large part of our production of organic pomegranate crops. Organic farming is a production and processing system that aims to obtain high quality food while minimising human impact on the environment. For this reason, resources are used optimally without producing waste or using chemical products that alter the natural biological cycle of the earth. 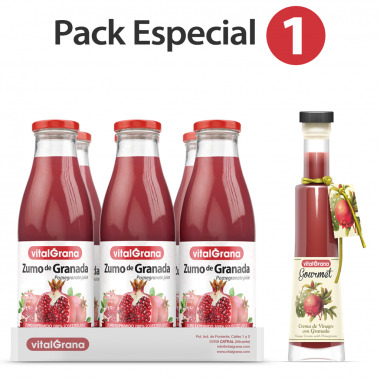 Vitalgrana is an active part of the Spanish Society of Ecological Agriculture (SEAE) as well as a pioneer in the implantation of organic farming in its region, having 30,000 pomegranates with ecological certification. In addition, we offer help to farmers to start this type of agriculture which is so beneficial to the environment. We have the hallmark of IFS Food (Recognized International Standard) for the manufacture and packaging of 100% Squeezed Juices. 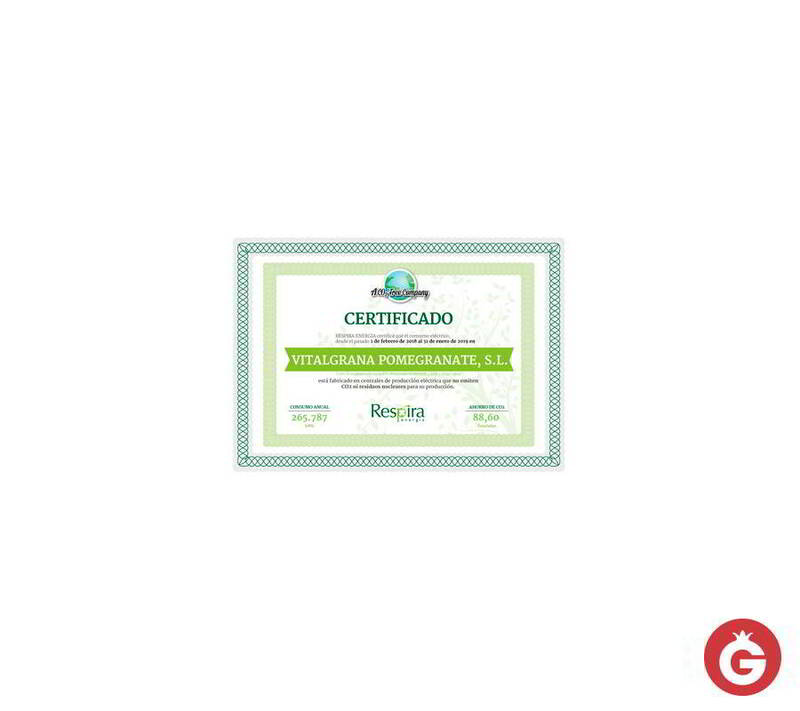 The certificate of Respira Energía certifies that from February 1, 2018 to January 31, 2019 Vitalgrana's electricity consumption as well as the manufacture of all its products has been carried out without emitting any CO2 and no other waste of nuclear character. 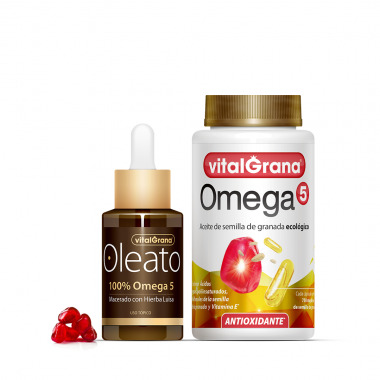 The certification of good manufacturing practices (GMP acronym in English) of the Vitalgrana Omega 5 product guarantees compliance with strict standards of food safety and quality. 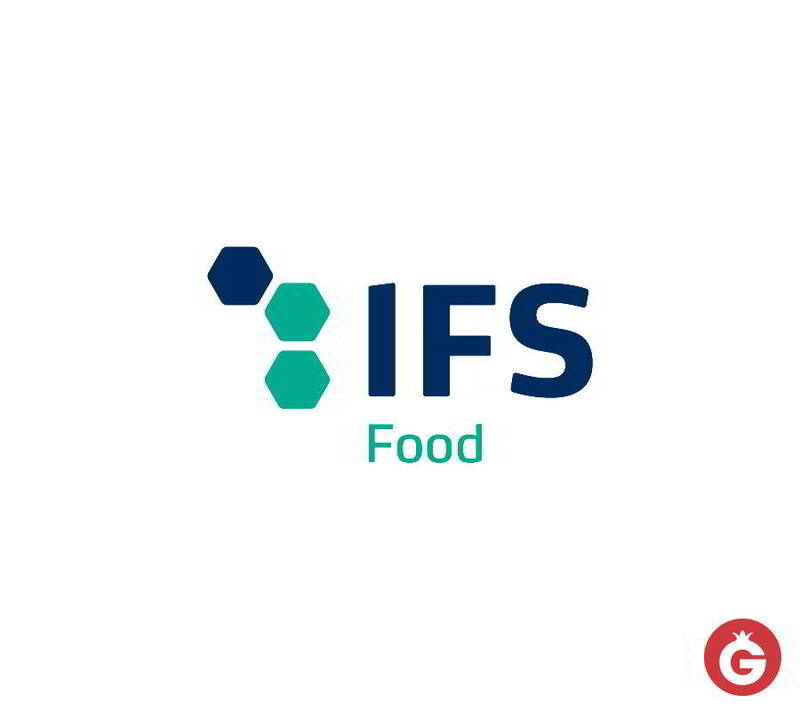 GMP and IFS are the proof that at Vitalgrana we work to achieve the continuous improvement of the food safety management system and demonstrate our commitment to making safe and high-quality food available to the public. Vinegar Cream with Pomegranate - 6 u.